Bring incredible cleaning and comfort to your laundry loads with this non-bio sensitive laundry liquid; formulated by Ecover. The non-bio sensitive formula effectively cleans while keeping your clothes and skin irritation-free. Ecover holds certification from Allergy UK, which shows their dedication towards making this liquid accessible to those with allergies or sensitive skin. You don’t need much to get great cleaning results from this laundry liquid, which helps get you up to 42 washes with ease. 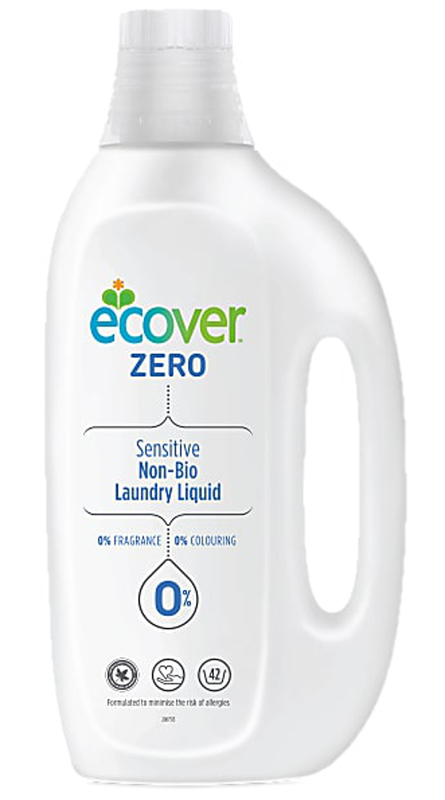 The Ecover ZERO Non-Bio Sensitive Laundry Liquid - 1.5L - 42 Washes product ethics are indicated below. To learn more about these product ethics and to see related products, follow the links below. 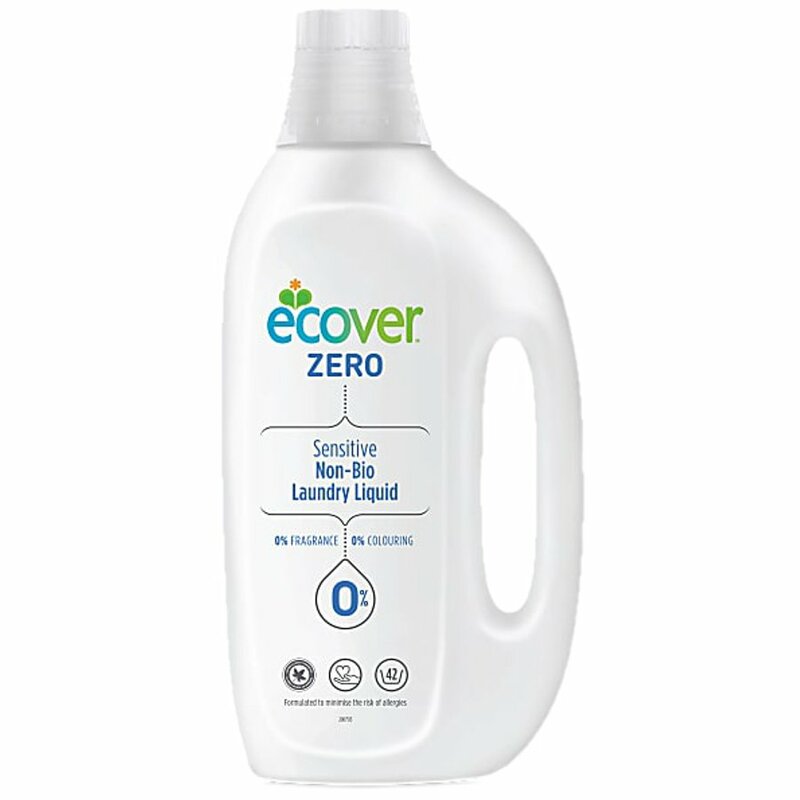 There are currently no questions to display about Ecover ZERO Non-Bio Sensitive Laundry Liquid - 1.5L - 42 Washes.